Over the course of the training, IMAN’s veteran Organizing staff introduced useful tools and key concepts during various interactive exercises. 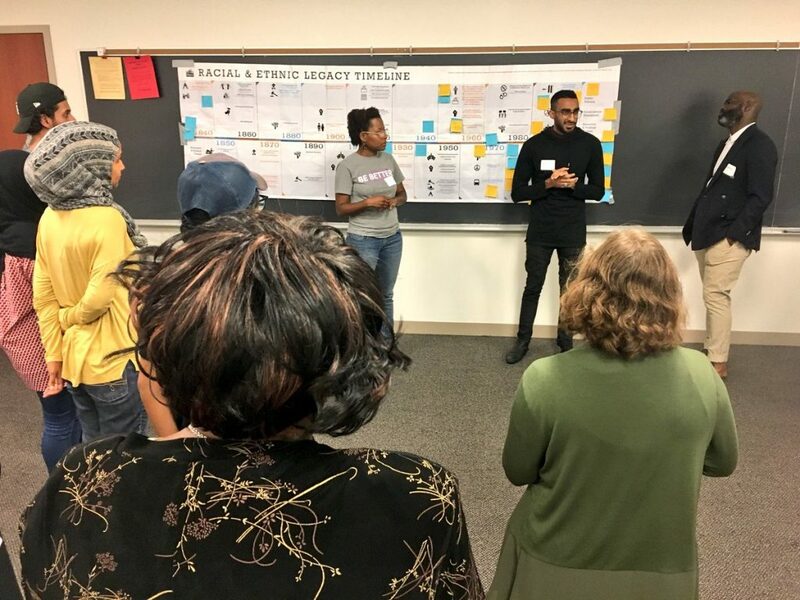 Attendees learned how to conduct effective relational meetings, or “one-to-ones”, which strengthen relationships between community members through the exchange of personal stories. The group then visually mapped the “The World As It Is vs. The World As It Could Be” in small teams, sharing and comparing their visions and ideals. 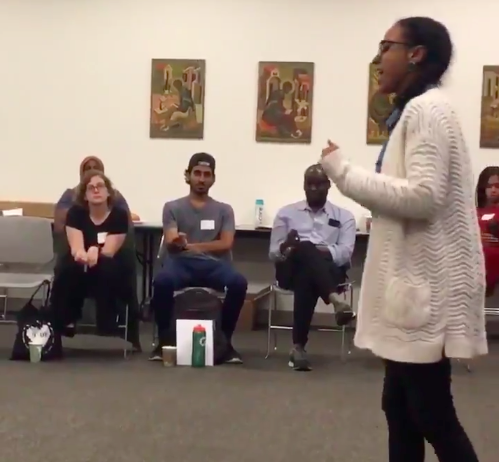 Participants were given time to reflect on their lived experiences, identify their own self-interest, and understand the self-interest of others, all of which are essential to foster intentional relationships and facilitate grassroots community organizing. IMAN Atlanta continues exciting growth, and the establishment of a holistic center for Mental Health Services is a key aspect of its future trajectory. 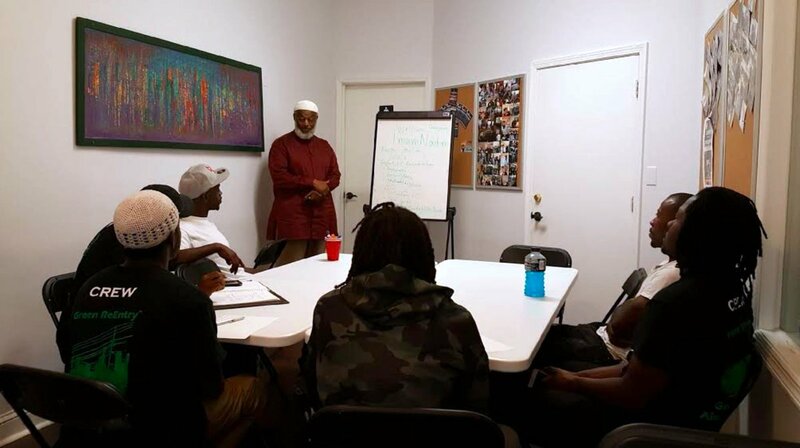 Towards this goal, Atlanta staff and leaders hosted community leader and licensed professional counselor Imam Nadim Ali (LPC) to facilitate a group therapy session with the current Green ReEntry cohort. Imam Nadim has provided community-centered counseling services for over 20 years, and has specialized experience working with vulnerable populations. During his session with the cohort, he discussed various impacts of incarceration on individuals and communities. From the challenges of emotional regulation to Post Traumatic Stress Disorder, Imam Nadim engaged participants with real-world examples of how life challenges can adversely affect mental health, while exploring ways to cope with such difficulties. Carrying on the momentum from this engaging discussion, IMAN Atlanta plans to continue providing services for the Green ReEntry Cohort. In September, IMAN Atlanta will partner with Mental Health America of Georgia to host a daylong Mental Health First Aid training to equip local leaders with critical skills and basic mental health knowledge. 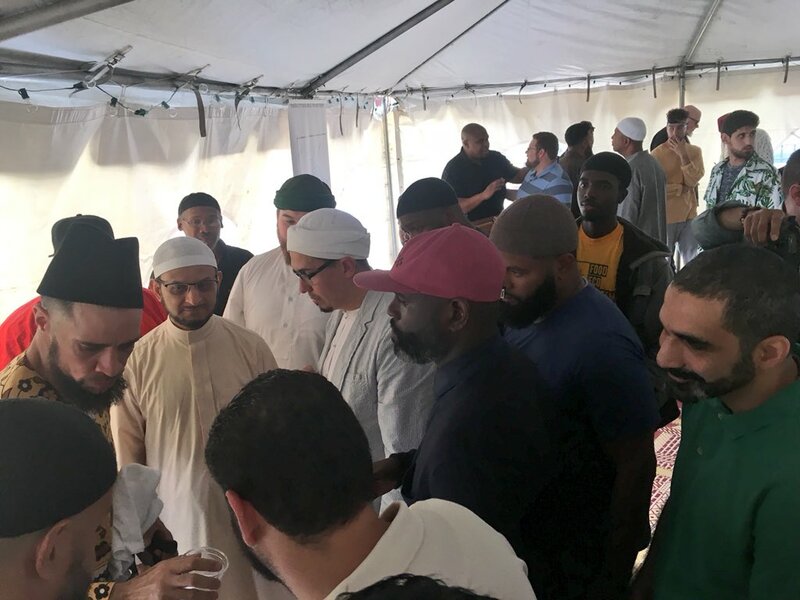 As millions of people gathered for the sacred Hajj pilgrimage, IMAN hosted hundreds of community members during an uplifting Eid al-Adha celebration with Usama Canon, founder of Ta’leef Collective, and Yemeni scholar Syed Umar bin Hamid al Haddad, a direct descendant of the Prophet Muhammad. Longtime IMAN Arts leader Brother Ali joined these two special guests, and began the day by hosting an intimate discussion on managing trauma and supporting psycho-spiritual health with several Green ReEntry and Health Center staff members. Following that gathering, he delivered a powerful khutbah highlighting the importance of mercy and justice in strong faith communities. Usama Canon has served as a spiritual advisor to IMAN for many years, and he met with dozens of staff and leaders after the jum’ah prayer. He acquainted his teacher–Syed Umar–with the IMAN community, and facilitated a touching introduction between Syed Umar, Shirley Muhammad, the wife of the celebrated Imam WD Mohammed, and IMAN board member Laila Muhammad, his daughter. Syed Umar then toured IMAN’s campus to experience the work’s continued growth and impact. Throughout the afternoon, guests also enjoyed an expanded Fresh Beats & Eats Farmers Market commemorating the Eid al-Adha holiday. A free, catered lunch was distributed to all in attendance, while Ronnie Malley and his internationally acclaimed trio provided captivating musical performances to celebrate the Eid season. The market featured children’s activities like a petting zoo, and an inflatable bounce house. With the school year right around the corner, IMAN gave out dozens of free backpacks stocked with supplies to young students. 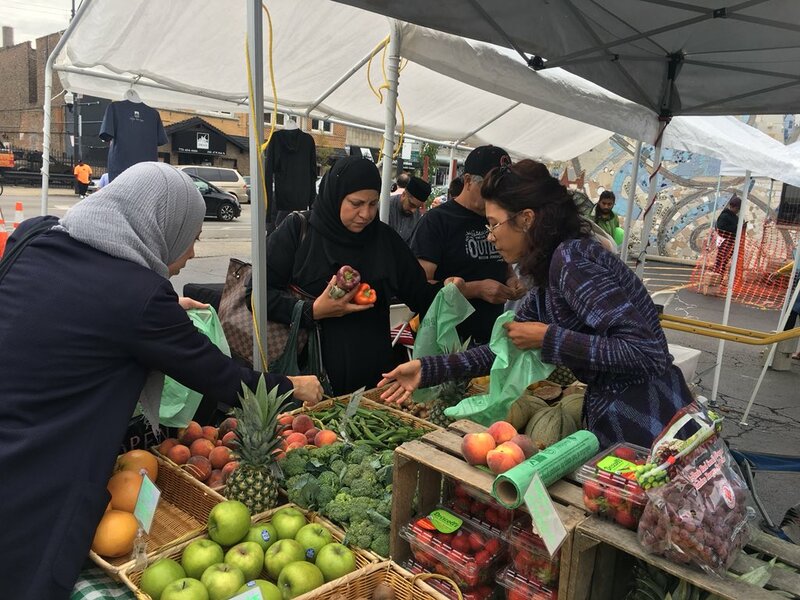 IMAN’s annual Eid Al-Adha celebration represents an important opportunity to bring community members together to learn about and share in the spiritual bounties of this special moment.